IT Consulting & Services focuses on supporting Clients in Singapore and in the Regional SME sector with effective IT solutions. In the last 12 months we have entered into agreements to sell and support IT Products that are part of the SME solution set. Mako Networks Security Appliances, BEFET - Bulk Email facility with Email Tracking in the Cloud and SMX - spam and virus cleaning in the cloud. There are three distinct trends driving the IT Market, Cloud, Bring Your Own Device BYOD and the explosion of the Tablet/iPad hardware in the market. The characteristics of Cloud seem to be clear - currently Governments, Banks, Insurance and Finance companies are not embracing the cloud. However many in the SME sector are moving to this type of model. The BYOD trend - Bring your own device is probably the largest threat to the Security in the view of many MNC's CIO's - however in the SME market it is just happening and CEO's and staff buy the latest cool device and connect. 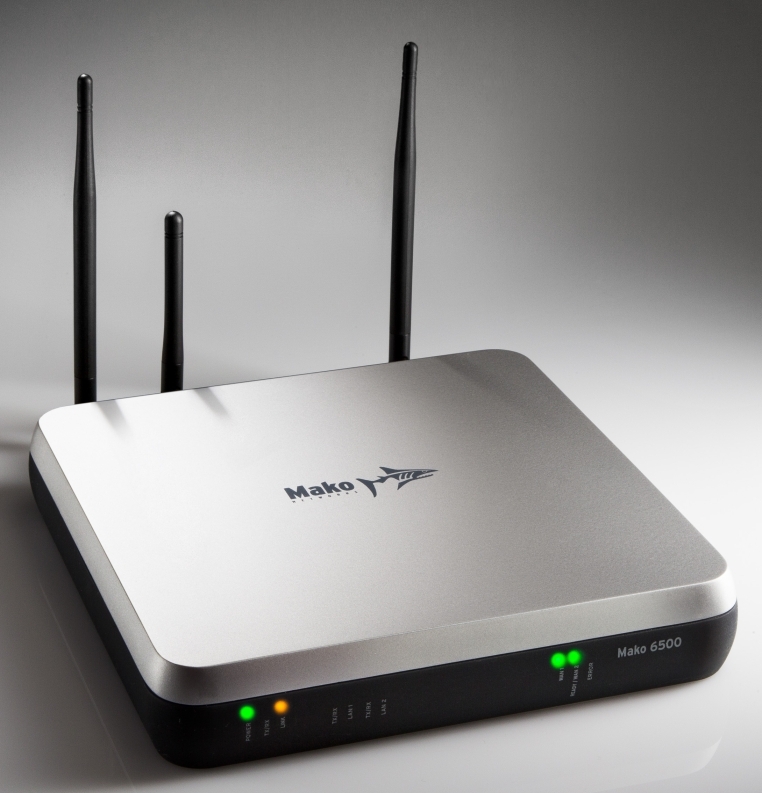 In September 2012, IT Consulting & Services signed an agreement with Mako Networks of New Zealand to sell and support Mako Networks security appliances, internet gateways and VPN Concentrators and its Central Management System in Singapore. security is a high priority. The models comes in versions for an ADSL connection or for a ethernet connection to a fiber network infrastructure. 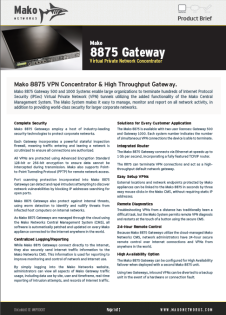 Different models provide for 3G failover or dual unit installation for failover configurations with automatic restore, independant LAN ports and an independant WiFi LAN, certified firewall both inbound and outbound, three (3) Click VPN's. Extensive Reports sent to your email account on a set periodic basis or on an Ad Hoc basis. 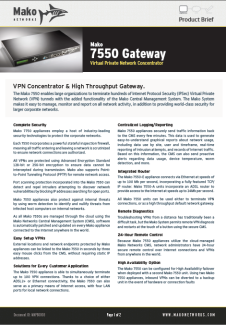 The Magic of the Mako Networks Security Appliance is the Central Management System - CMS, this feature allows for access 24 * 7 the ability to configure, reconfigure, update, interragate, report, create VPNs use Web Guardian to manage access to web sites, restrict access through black lists and white lists. ITCS provided advice on different aspects of IT Infrastructure, Software and Business Applications. Many clients who while familiar with IT, are not used to dealing with vendors and not in need of IT staff on a full time basis. ITCS provide Consultanting Services to meet client requirements on a broad basis. We will undertake Marketing, Surveys, Project Conceptualisation, Specification Preparation, Vender Analysis, Vendor Selection, Project Management to Commissioning Services. In some situations where there are unique requirements, client require high touch service engagements or clients require that ITCS undertake the supply of services, like building website and updating, mail services, application operations support. ITCS had been undertaking wseb site updates and SEO work for Ambler Collins Visa Specialists in the UK for several years. The business is very competitive. In January 2011 Ambler Collins became first for "visa specialist" in Googles SERP results. A year later it was still in the top two position. ITCS will release BEFET V2 in the next Quarter - Licensed by Domain Name and designed to be compliant with the Singapore Spam law. For the comprehensive list of features please and our terms check out our Bulk Email Facility with Email Tracking section.